Apartment block "Matten (Utoring)". In a central, quiet, sunny position. In the house: reception, lift, storage room for skis. 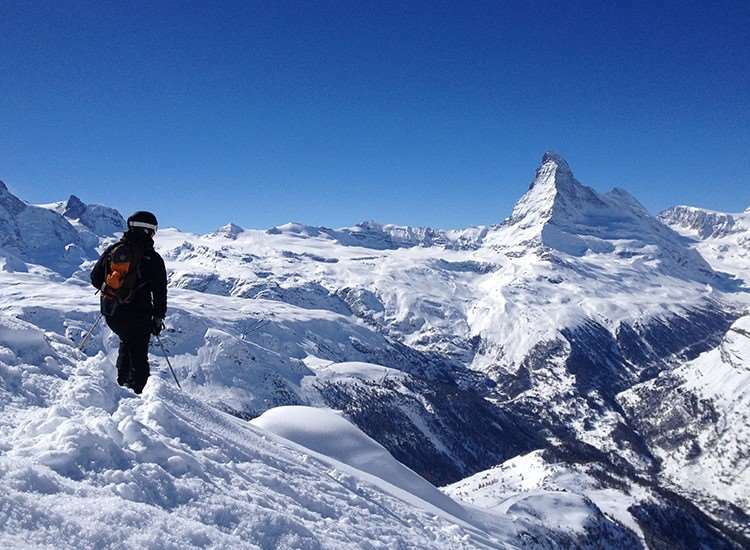 Bus stop 30 m. Tennis 200 m, mountain railway 500 m, ski bus stop 30 m, ice field 200 m. "Sunnegga" station (underground) 200 m. "Gornergrat" station (railway) 300 m. Some apartments have magnificent views of the Matterhorn. For bookings of less than 6 nights, cleaning and linen have to be paid locally. Linen: CHF 20/pers. Cleaning: 1-room apartment CHF 90, 2-room apartment CHF 120. The deposit has to be paid in cash. 2-room apartment 80 m2 on 2nd floor, south facing position: living/dining room with TV and radio. 1 double bedroom. Kitchen (4 hot plates, oven, dishwasher, microwave). Bath/WC. Balcony. Terrace furniture. Please note: non-smokers only. Beautiful view of the Matterhorn.